Dermaflage makes the best makeup to cover acne scars. Known as the concealment experts, Dermaflage makes the best foundation for acne prone skin with acne scars. The Hollywood professional makeup artists depend on Dermaflage for the best makeup to cover acne scars on celebrities and actors. 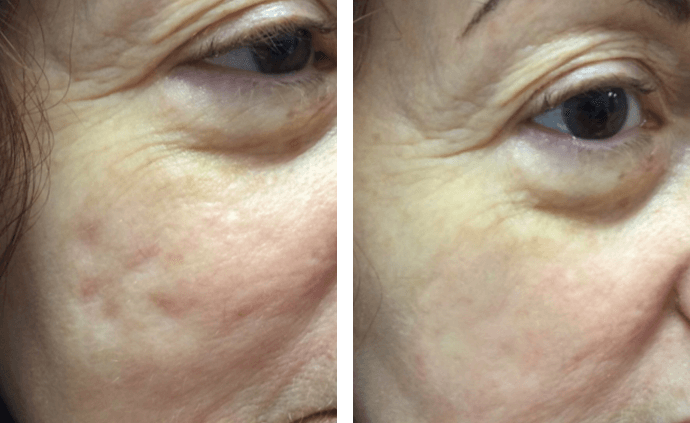 Dermaflage customers look their best everyday because our products conceal discoloration and indented acne scars even better than expensive dermatologist procedures. With Dermaflage, you can feel confident about your face- knowing that these are the best products to cover acne scars and they will keep you covered all day. Innovative skincare to improve the skin’s texture + makeup to cover acne scars INSTANTLY. At Dermaflage we strive to solve some of the beauty industry’s most challenging issues by taking the best from the worlds of dermatology and professional makeup artists and bringing these solutions to you. Makeup to hide acne is just the beginning- we’re on a mission for flawless skin! Watch the makeup tutorial to cover acne scars below to see how some of the Dermaflage products work. Look for a makeup primer that offers more than just a smoothing effect. Silicone is beneficial for acne scars but silicone with peptides to stimulate collagen is even better! Use good brushes made specifically for concealment. The shape of the brushes really matter and will effect your end result. Use a color corrector to cancel out purple and redness caused by acne. It may seem strange to be putting yellow and green on your face but you will notice how well it mutes the discoloration instantly. And not to worry, you’ll add foundation over top so the colors will not show through. Use a very pigmented acne concealer for spots that need extra coverage. Be careful to use a small amount of the concealer and only for spot coverage. Overdoing it is what leads to the dreaded cake face. 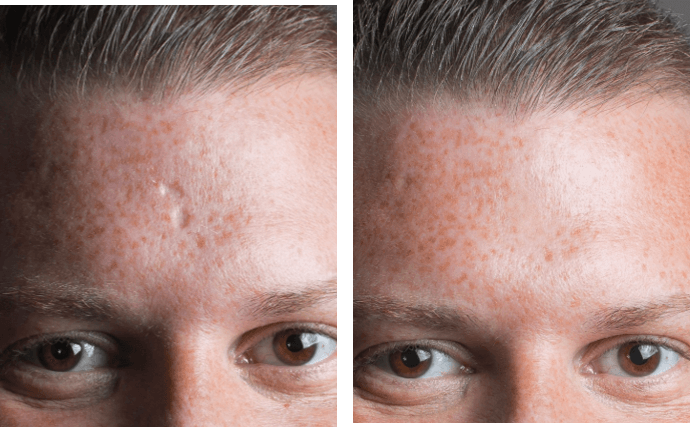 Fill in acne scars with makeup filler. Use Dermaflage makeup filler for acne scars which starts as a gel and dries to a film that looks like skin to fill in ice pick, rolling and boxcar acne scars. Use a full coverage mineral powder foundation for acne prone skin to provide the coverage you need for your sensitive skin. The last thing you want is more acne breakouts. It is important to research the best foundation to cover acne scars because acne prone skin can be challenging. Finish with a mattifying setting powder that will boost the wear-time of your makeup and also absorb oil throughout the day. Hollywood makeup artists use color corrector to hide redness & acne discoloration on celebs & actors. They call it color theory. With Behind the Scenes Corrector we’ve made it super easy! The 1st topical filler to fill & conceal acne scars instantly. Dermaflage topical filler fills in ice pick, box car and rolling acne scars instantly. Like a second layer of skin, the topical filler starts as a gel and then dries to a film to fill acne scars. Developed in Hollywood SFX, Dermaflage topical filler is the first cosmetic that looks like real skin and is an innovative foundation to cover acne scars. It is flexible to move with the face, waterproof and lasts all day. Completely invisible, no one will know you have it on!